Arts and Culture Deputy Minister Maggie Sotyu says the responsibility to protect and preserve indigenous languages can not be government’s alone. Sotyu was speaking in Khayelitsha at the annual commemoration of International Mother Language Day. UNESCO declared February 21st as International Mother Language Day in tribute to the Language Movement of the Bangladeshis. Sotyu says parents have a critical role to play in developing and protecting indigenous mother tongue languages. The International Mother Language Day was proclaimed by UNESCO, in 1999, in an effort to support the use of mother tongue in education. 2019 has also been proclaimed by the United Nations as the International Year of Indigenous Languages. Sotyu says the South African government supports the promotion of indigenous languages, but says with strong input from the family. The celebration has been organised in collaboration with the National Library of South Africa. Executive Director at the National Library Eddie Maepa says the culture and identity of a people could die if their language is ignored. Maepa says it’s sad that books in other South African indigenous languages are few and hard to find. 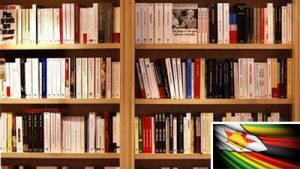 The department says there’s a need to promote a culture of reading, writing and publishing in all local languages. The post Calls made to preserve indigenous languages appeared first on SABC News – Breaking news, special reports, world, business, sport coverage of all South African current events. Africa's news leader..